I’m going to let you guys in on a pet peeve of mine: People arguing about Star Wars pronounciation. Don’t get me wrong, I can discuss minute irrelevant details all day. Please do come at me with your opinions on the trooper bumping his head in A New Hope. Tell me Lando took off his mask in Jabba’s Palace a few times too many. Or send me a 2000 word tirade on why Adi Gallia is better than Stass Allie. Just don’t correct me or anyone else on their Star Wars pronounciation. “Why not?” You ask. Well, as the great Hán/Hahn Solo once put it: “It’s true. All of it.” Whether you’re in the Star Wars universe or in our own, everyone will understand you when you’re talking about Aytee-Aytees. But the same goes for At-Ats. In fact, call them Walkers for all I care. The characters in the Star Wars universe certainly do. It’s really baffling to me how, 40 years on, people can still hold very real arguments on the merits of one pronounciation over the other. Especially when even main characters’ can be heard being pronounced multiple ways. I’m sure we all conjure the same sound in our heads when we see the name Leia. Grand Moff Tarkin, however, doesn’t care about your naming conventions, nor does Leia herself correct him on this differing pronounciation. Then, outside of the movies, there’s actually a conscious effort by Clone Wars and Rebels showrunner Dave Filoni to feed multiple pronounciations of the same thing into the Star Wars canon. Watch the following interview at SWCE. Dave says he purposefully had characters say AT-AT and Twi’lek both ways. If canon sources tell you the other way is correct as well, why would you zealously cling to your own interpretation of the term? Now, after that tirade, it’s only fair that I admit something else: I do care too much about the spelling of certain terms. Twi’lek, for instance, but also things like Wookiee and Kashyyyk. I grant that, with so many languages in the Star Wars galaxy, it’s very likely that some in-universe individuals would write these terms as Twilek, Wookie, and Kashyk. But I am convinced there’s only one way to write them in English. Because of this, I’m probably guilty of the exact thing I claim to hate… But I don’t care. I’ve never claimed to be anything but a hypocrite. 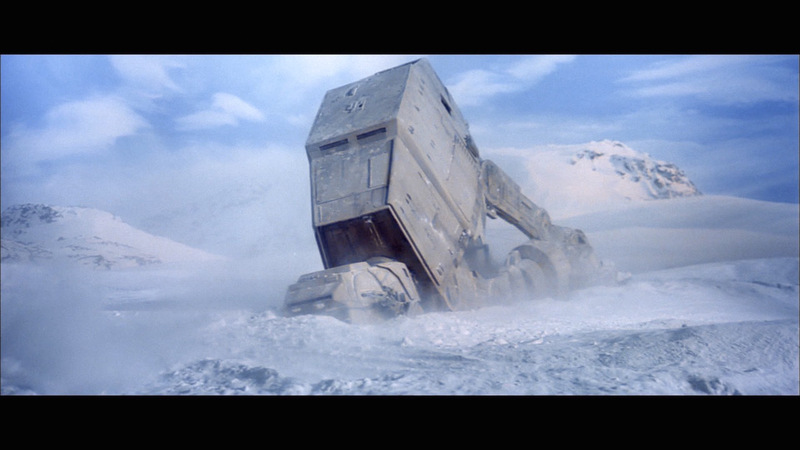 Long story short: Next time you’re tempted to give someone flak for saying AT-AT, maybe take a deep breath and find a part of Star Wars you both enjoy to talk about instead. After all, we’re all big fans of the same crazy universe. That’s definitely something to celebrate. If you’ll excuse me, I’ll now speederbike away before I actually get any Adi VS Stass fanfiction.